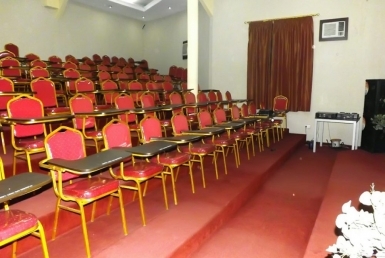 273/274 Aba Road, Port Harcourt, Rivers Nigeria. 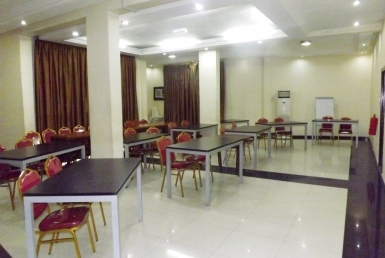 Located in the heart of Port Harcourt City in Rivers State, the stylish Claridon Hotel is within easy reach of Port Harcourt’s major attractions such as the international airport, major markets, cinemas and more. A friendly welcome is your first taste of the personalised service to come. 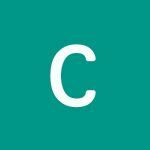 Our enthusiastic, passionate, and driven staff is completely attentive to your needs, and happy to assist you in any way possible. You can grab a bite to eat at Pelebs, featuring an exciting spectrum of culinary experiences ranging from African, to continental and even Indian and Chinese cuisines. Stay active during your stay in the hotel’s gym and fitness center featuring modern strength and cardio equipment. 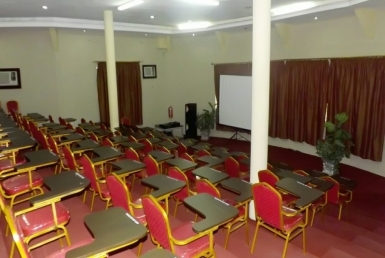 With a seating capacity for over 300 people contained in versatile meeting spaces, Claridon Hotel can successfully accommodate business conferences, trainings, seminars or any other events you require.